I’m a huge fan of the ‘Bourne’ series. The first film set the tone, the second two solidified its unique style into an excellent modern action film. The everyman transformed into a super soldier, an expert operative running from the corrupt government organization that created him. The Bourne Supremacy for all intents and purposes closed the book on Jason Bourne, but, just like any successful franchise, the powers that be, and the fans want more. So how do you make a Bourne movie without Paul Greengrass and Matt Damon? You tell the story of one of the other members of the top secret Government organization that created these super soldiers. 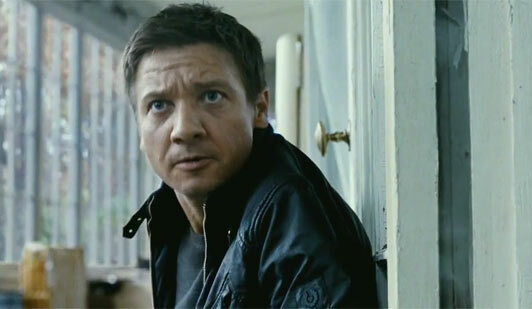 This outing is written and directed by Tony Gilroy, the screenwriter of the previous films, and stars Jeremy Renner, who is quickly on his way of becoming a household name and action star in his own right. The film opens with Aaron Cross (Renner), hiking over a mountain in a training assignment. With Operation Treadstone and Operation Blackbriar public and a potential embarrassment thanks to what happened in the previous films, the powers that be decide that Operation Outcome, the latest in the Department of Defense black ops program needs to be reevaluated. Eric Byer (Edward Norton) is brought in to assess the situations, and determines that terminating the program is the best decision. Which results in assassinations and literal termination of all those involved in the program. Caught in the middle is research scientist Dr. Marta Shearing (Rachel Weisz), as well as Aaron Cross, who manages to survive a drone strike. We learn that Operation Outcome operatives are required to take a pill that gives them the intelligence and strength that we’ve seen in the other films. The subjects are reliant on these “chems,” and the consequences of not having them are disastrous (or so we’re told). The way to counteract the reliance on the pills, is to be “viraled off,” which makes them not have to take the pill. Which is why Cross makes his way to find Shearing. The film differs in that Cross lacks some of the baggage that Jason Bourne suffered from. It seems that at this stage of the project, they’ve maintained better control of their operatives, and that making them reliant on the “chems” is what keeps them in control. doesn’t look anything like any of the other Bourne movies. Greengrass’ fly on the wall, almost documentary style of filming the action is replaced with a far more traditional style of cinematography. The action is standard, nothing stands out as far as set pieces. While I don’t feel like they phoned this one in, everything just kind of feels like business as usual. As far as character development, the main characters connection wasn’t as tight or as believable as the previous films, and Cross feels much more one-dimensional than Bourne. ‘Legacy’ maintains its mystery up until the last act, that’s where things really start to fall apart. The finale action scene just doesn’t feel like it holds up to the standard thats been set for the series, and its ending isn’t satisfactory. Movies are free to leave openings for sequels, but this felt far too unresolved. All-in-all, its a decent action movie, but we’ve come to expect far more from the Bourne series. Let’s hope like the first trilogy, this one sorts itself out the second time. If there is one.